One World Recycling is a transfer facility located in Lindenhurst, New York. One World handles in excess of 150,000 tons per year, and that waste is safely shipped via rail to one of Tunnel Hill Partners two rail-served landfills. 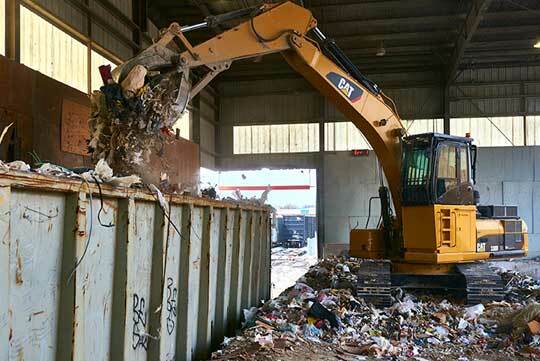 One World Recycling Capabilities Include: a daily maximum of 500 tons received, serviced by rail, DEC approved transfer station and recycling center. Tunnel Hill Partners, the parent company of various operating subsidiaries, has as its investor a fund managed by a member of Macquarie Infrastructure and Real Assets (MIRA). MIRA is a business division within the Macquarie Asset Management group of Macquarie Group and a global alternative asset manager focused on real estate, infrastructure, agriculture and energy assets. MIRA has significant expertise over the entire investment lifecycle, with capabilities in investment sourcing, investment management, investment realization and investor relations. MIRA’s investment in THP is through Macquarie Infrastructure Partners IV, MIRA’s fifth North-American focused unlisted infrastructure fund.